New Years Day are gearing up to release a new studio album, and although the California rockers don’t have a release date yet, they’re giving fans a taste of what’s ahead. 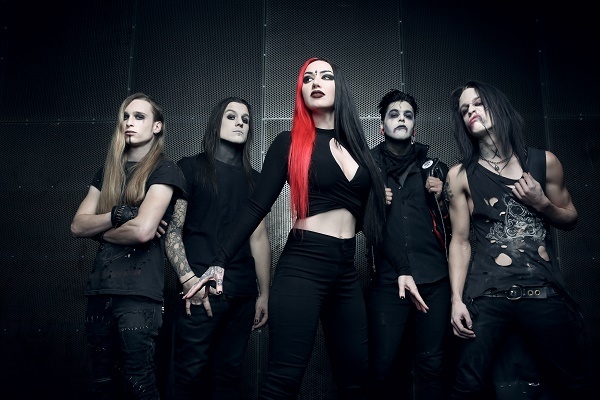 Frontwoman Ash Costello and company have released a new song, called “Skeletons,” off the upcoming album, which is set to arrive in spring 2019. If “Skeletons” sounds like a love song to you, there’s a reason. Costello got engaged to her boyfriend Jimmy Trigger in March of this year, and both Costello and Trigger’s Instagram feeds feature plenty of photos of the happy couple. In other news, New Years Day will return to the road with Halestorm and In This Moment beginning with a show Friday (Nov. 16) in Norfolk, Virginia, and running through a Dec. 16 stop in Saint Petersburg, Florida. For information on the run, head to New Years Day’s official website.